3 Pack - $ 29.99 A 10% Savings! 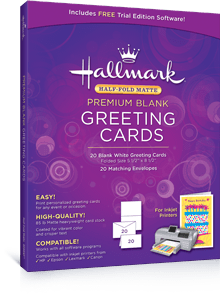 Insist on Hallmark Premium Greeting Cards for Truly Spectacular Results. 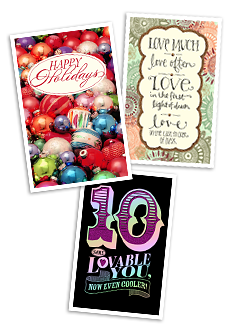 Now you can make the best of your new Hallmark Card Studio software with NEW Hallmark Premium Blank Greeting Cards. It's easy to print customized greeting cards for any event or occasion. This high-quality, heavyweight card stock is coated, 85 lb Matte for vibrant color and crisper text. And it's designed to work perfectly with your Hallmark Card Studio software and color inkjet printers from Lexmark, Epson, HP and Canon. 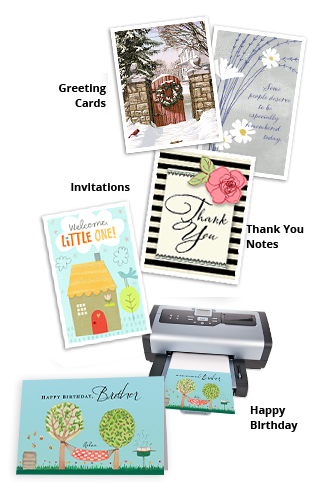 Use your Hallmark Card Studio software to create custom greeting cards, announcements, invitations and more. Perfect results with inkjet printers from HP, Lexmark, Epson, Kodak, and Canon. Delight family and friends with your personalized creations.